*Learn more here JDRF and get involved in helping to find a cure for Dawson and Carter and many other kids like them! We admit it: As insurance pros, our picture of winter isn’t exactly cozy. Winter storms mean traffic snarls, hillsides turning to sheets of ice, and cars sliding around like hockey pucks. Cold temperatures can cause pipes to burst, frost swells and other damage. Heating your home with fireplaces and holiday lighting can increase the risk of fire. Here are a few of our top tips to help reduce weather-related hassles this winter. We want to help you rest easy. You will be more relaxed when you know you have prepared your property to lessen the chance of winter storm damage. If you have any questions at all about your coverage and/or deductible, call us at Knight Magee Insurance (804) 320-0129 and we will help you review your policy. Owning a home is rewarding and exciting! However, for most homeowners, looking to hire a contractor for a home repair or renovation is daunting! Tip #1: Does your contractor have proof of insurance? It is important that your contractor carry insurance otherwise you could be left financially responsible for his or her negligence or mistakes. We always recommend that our clients obtain a copy of the contractors General Liability policy before any work is performed and if the contractor has a crew or employees ask for proof of Workers Compensation coverage. The General Liability policy will provide coverage for completed work and/or damage to your premises at the time work is being performed. Examples, the contractor scrapes your hardwood floor when moving in an appliance who hired him or her to install or the contractor wires something incorrectly and it later causes a house fire. The Workers Compensation coverage provides coverage for an employee’s work-related illness or injury. Tip #2: Does your contractor provide references? Any reputable contractor should be able to provide multiple references for the same type of project you are looking to hire them for. This should also include photos depending on the type of work you are looking to have performed. Tip #3: Does your contractor provide a contract? He or she should be willing to put both the scope of the project and bid in writing, if not, walk away! Tip #4: Does your contractor use sub-contractors? This is common depending on the scope of a project. For example, you may hire a general contractor to oversee the entire project, but he or she may sub out certain work: electrical, framing, etc. It is important that those sub-contractors carry their own insurance. Tip #5: Permits!!! We can’t emphasize this one enough. We work with a lot of clients who find faulty work down the line that could have been avoided with permits. Permits cost money yes, but the inspection process is meant to protect you from poor workmanship and to ensure everything is built to code! Please help us as we support CSC Homeless Run hosted by Robyn McManis. New Winter Coat (no used) in men’s sizes medium, large, extra large or XXLarge. The thicker the better and hoods are nice and warm! Make a donation! Donations can be a check or cash that you drop off at CSC. 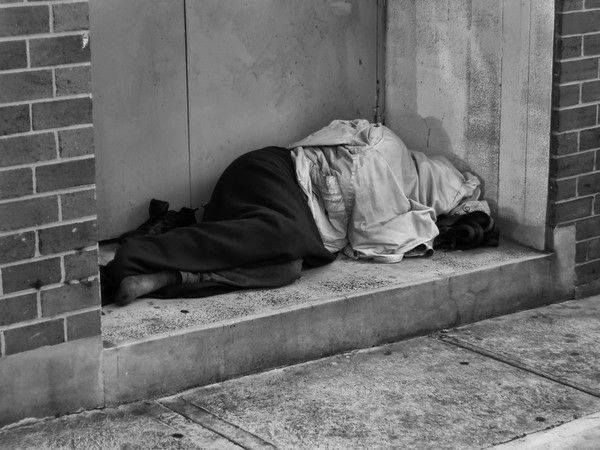 You can also donate via PayPal at carystcafehomelessrun@yahoo.com. 100% of all donations will go towards the purchase of new coats and boots. Follow the Facebook Page for more information and/or to volunteer! 1. Am I covered for flood? Collapse or subsidence of land along the shore of a lake or similar body of water as a result of erosion or undermining caused by waves or currents of water exceeding anticipated cyclical levels that result in a flood as defined above. 2. What is a moratorium and why can’t I change or add coverage to my policy? An insurance moratorium or binding prohibition simply means an insurance company places a temporary halt on writing new business or raising limits on existing policies for a period of time. This is common with an impending storm. 3. What type of water damage will my homeowners cover? One example would be water back up and sump pump overflow, but only when the endorsement has been applied to your policy. This endorsement provides coverage when water backs up through or overflows from a sewer, drain, sump, sump pump or any system on the residence premises designated to remove subsurface water from the foundation area. This is a common claim after heavy rainfall. 4. What’s my responsibility if my home has sustained damaged? Report your claim right away. Make emergency repairs to prevent further damage to your property, but only if you or someone you know is able to do so safely. 5. Do I have a separate deductible for a loss from a Hurricane? Not necessarily. Some of our costal clients and those who live near major bodies of water may have a separate wind/hail deductible, but for the vast majority of our clients, you typically would have one deductible on your policy and it’s the same for all perils. These are some of the common questions we’ve encountered with the impending storm, but please do not hesitate to call (804) 320-0129 or email myagent@kmicoverage.com, with any questions or concerns. College is expensive enough without finding out too late that an accident or theft isn’t covered under your current policies. So, as you get your children ready to head off to school in the fall, there’s one vital “to-do” to add to your list (other than writing that tuition check): a review of your insurance coverage. It’s important to keep in mind that policy language varies from state to state, and there are never “one-size-fits-all” situations, but below is a general guide. If you have questions, or want to go over your insurance needs, don’t hesitate to contact us! Coverage of personal property: Most homeowner’s policies provide 10 percent of Coverage C (Personal Property) for property owned by an insured that is at a residence other than the insured’s. For example, if the contents of a policyholder’s home are insured for $100,000, a student’s property up to $10,000 would be covered if living in a dormitory – provided the damage is caused by a covered peril and the student meets the definition of an insured. For apartments or houses off-campus, the same coverage generally applies. Certain items, such as jewelry or expensive electronics, may require special coverage, or a “rider.” Renters insurance is strongly recommended. Liability coverage: There usually is exclusion for damage to property rented to an insured, so generally damage to a dorm room or apartment would not be covered, unless the student carriers renters insurance. Ensuring adequate coverage: Contact us to get specific answers and information about your coverages. Also, it’s a great idea to create an inventory of the items your student is taking to school, as is keeping photos of and receipts for the items. Renters insurance: If your student’s needs can’t be met under your current policy, don’t forget renters insurance. Landlords’ policies generally only cover the structure, not the possessions of renters. Coverage without a car at school: If your student will continue to drive while at home on school breaks, they should continue to be listed on your auto policy. If they are attending school more than 100 miles from home, and are not taking a vehicle with them, the policy may qualify for a distant-student discount. Coverage with a car at school: In most instances, a car registered to parents and listed on their policy will be covered if used by a listed student away at school. But you should make sure that your insurance carrier writes coverage in the college’s state and location. And note that a change to the principal location of the vehicle could result in a change in premium. Driving a friend’s car at school: Students generally would be covered while driving a friend’s car if the students are listed on their parents’ policy and do not have regular use of the vehicle. The coverage would likely be secondary in this case, as the carrier for the friend’s vehicle likely would be the primary coverage. Coverage discounts: In addition to the possible distant-student discount mentioned above, students may qualify for a good-student discount. To qualify, most insurance carriers require that a student must be enrolled in at least four courses per term as a full-time student at an accredited college or university and meet certain academic qualifications. Also, drivers under the age of 21 who complete a driver education course may be eligible for a policy discount. Going away to school is an exciting time for both students and their parents. Making sure you’ve got the right insurance coverage can help you protect your assets as you invest in your child’s future. We’re happy to discuss your coverage and options — just give us a call (804) 320-0129 or stop by! Safeco continues to partner with Safelite Solutions and now they are making it easier than ever to file your claim: You can report an auto glass repair from your computer, tablet or smartphone. Safelite’s website identifies the work that needs to be done, confirms coverage and gives the ability to schedule an appointment for repair or replacement. You can access the glass claim center through Safeco.com. Guaranteed work: All work is backed by Safeco’s Presidents Guarantee, which ensures that all repairs completed through Safelite meet industry professional standards and this guarantee applies as long as you own the vehicle. Value: For customers with comprehensive coverage, Safeco will cover the cost of a windshield repair 100% if the shop can repair, instead of replacing. If the windshield needs to be replaced you are subject to your deductible, *unless you opted to carry full glass under your policy. Quality: All providers who perform the auto glass repairs are trained professionals who meet or exceed industry professional standards. Convenience: Work can be performed at your home or your office at no additional cost. Customers are never left waiting and are kept in the know with OMW (On My Way) texts. Speed: Safeco customers receive high priority at the shops in the Safeco network, so this means a repair or replacement is scheduled quickly. Auto insurance rates are rising at the fastest rate in over a decade. There are many factors (out of your control) impacting insurance premiums. It’s important to understand that insurance companies base their annual premium rates on a number of factors and these factors are heavily regulated by federal and state laws, all of which are strictly enforced. Financial Stability: On a quarterly basis your insurer must prove that they are solvent. This means having assets in excess of liabilities. Many insurance companies are experiencing the effects of external environment and market factors that are driving up costs. Accidents: Even if you have had no accidents, the companies’ total accidents for the prior year will directly impact premiums for everyone. Inclement weather, heavy seasonal travel, and/or large construction projects have all been known to increase losses for a particular year. For example, lower gas prices might mean more families opt to drive to their vacation destination vs. flying. More drivers on the road = more frequency of accidents. Cost of repairs: With newer technology come higher repairs costs. Years ago a minor fender bender may have meant a new bumper cover and paint, today we have cars with back up cameras and other technology which are driving up the cost and time for repairs. Repairs are more common than total replacement of vehicles. This particular statistic can have substantial impacts on the auto insurance industry. Also, rising healthcare costs has driven up personal injury claims. Insurance is designed to spread the risk across large numbers of people. By law, insurance premiums must be applied to an entire class of people, not an individual. It’s important to understand that insurance is a business and like any business some years are better than others. You can have one company file a 9% increase and another 2% and it’s all based on a multitude of factors from the prior year. This is why working with an independent agent is so valuable. At Knight Magee Insurance, we represent multiple insurance companies, we track market conditions, new programs and discounts and work with our clients to ensure you have the best coverage, but also the best rates. Contact us at Knight Magee Insurance for a no obligation insurance review. Previous coverage: Those who have had a lapse in insurance or a gap in coverage and/or carry state minimum liability limits tend to pay more for car insurance. Credit history: According to research a higher credit-based insurance score typically means you are less likely to file a claim, so as a result more favorable premiums are offered to those with higher scores. Your home: Where you live and whether you rent or own your home can impact your premiums. For example cities, tend to have more traffic and street parking and as a result are more susceptible to losses and therefore may pay a higher premium than those who live in less densely populated areas. Your vehicle use: The more time you spend on the road, the higher the chance of something happening. If you have a long commute your rates may be higher than someone who works from home and qualifies for a low mileage credit. Vehicle symbol: Vehicle symbols are determined by safety ratings, cost of parts and labor, and the likelihood of theft and/or break in. The higher the symbol the more costly to insure. Marital status: Believe it or not, those that are married are proven to have fewer auto accidents than non-married drivers. As a result more favorable rating is offered to married drivers vs. single drivers. Age: Younger inexperienced drivers tend to pay more, so qualifying for a good student discount and/or taking a driver improvement course might help offset the dreaded “youthful” surcharge. Deductible: Often, the higher your deductible, the lower your premium. We recommend that clients only carry the highest deductible they can manage at the time of a loss. Don’t forget you have to pay that deductible out of your own pocket in the event of a covered loss. Driving history: If you’ve ever been in accident or received a ticket, then I’m almost certain you experienced an impact to your insurance premium. Watching the speed limit and not driving distracted are two ways to stay safe but also reduce premiums with a clean driving record. Car insurance costs can vary greatly form driver to driver, carrier to carrier and even state to state, which is why an independent agent, with multiple markets is invaluable. If you want to better understand how your policy was rated or are interested in a no-obligation review, contact us at Knight Magee Insurance. *Look out for our next blog where we will address how car insurance companies base annual premium rates on a number of “other” factors, all of which are out of your control. Don’t let an accident wreck your fun! Life Preservers Aren’t Just for Kids. It’s not enough to just have life jackets on board — wear them! In an accident, people rarely have time to reach for a life jacket. This rule applies to adults, not just children: More people in their 30s die in boating accidents than any other age group. Life vests have come a long way in style. Today, you can even get vests for your water-loving dog! Watch the Back of the Boat. Carbon monoxide kills in minutes. So tell your passengers where your exhaust pipes are located and turn off your engine when people are in the water, and don’t let passengers “ski” or “teak-surf” by holding on to the back of the boat. Both Washington and Oregon made teak-surfing illegal in the last few years, after several tragic deaths. Carbon monoxide detectors are standard on most new boats; older boats install devices for less than $100! Alcohol and Boating Don’t Mix. More than 50 percent of drowning’s result from boating incidents involving alcohol. You don’t drink and drive, so don’t boat and drive. Boats Need TLC Too. When you’re out on the water, make sure your gas tanks are vented and bilges are free of vapors, oil, waste and grease. Carry a charged fire extinguisher. Have your boat’s operating systems checked yearly by a certified marine technician. The Coast Guard Auxiliary and United States Power Squadrons also offer free vessel safety checks. Experience Counts! The U.S. Coast Guard says that operator errors account for 70 percent of all boating accidents. Make sure anyone who drives your boat is properly trained. You can also earn boat insurance discounts from Safeco and other insurers if you complete a safety course with the Coast Guard Auxiliary or U.S. Power Squadrons. *Most home insurance policies have limited coverage for boats. If you own a boat, watercraft insurance is your best bet: It covers theft, damage, and injuries or accidents while you’re on the water, as well as some of your expensive watersports gear.